Great travel book, despite dating somewhat re technology and politics. Easy to listen to and well performed by the author. Epilogue seems to be missing? One of the themes in this book is very confronting and depending on your own life experiences, it may have quite an impact on you. You are not committing to just another love story. It's a little long and tedious at times but well worth it. Seems to finish rather abruptly. More a contemporary romance than erotica, with a sprinkling of intimate scenes. Great character development of main characters, although I was left wondering a little about others. 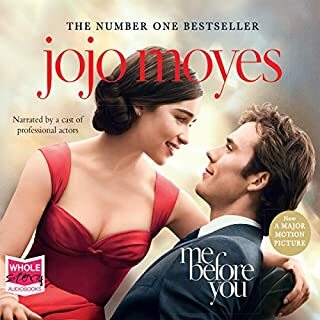 This is the first in a series of three books about one couple, so if you commit to this one, you really need to commit to all three, which is in excess of 40 hours in total. There's some pretty serious issues covered too, including details of child abuse, so be prepared. Could have told the story in half the time, but it's worth the journey. In a remote kingdom hidden in the Himalayas, there is a trail said to be the toughest trek in the world—24 days, 216 miles, 11 mountain passes, and enough ghost stories to scare an exorcist. 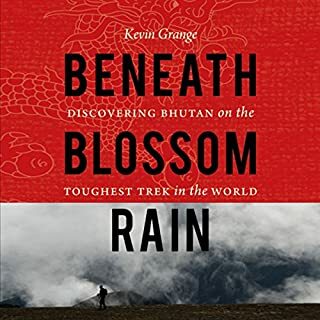 In 2007 Kevin Grange decided to acquaint himself with the country of Bhutan by taking on this infamous trail, the Snowman Trek. He was 33, at a turning point in life, and figured the best way to go when at a crossroad was up. A great account of the world's toughest trek in the mountains of Bhutan. 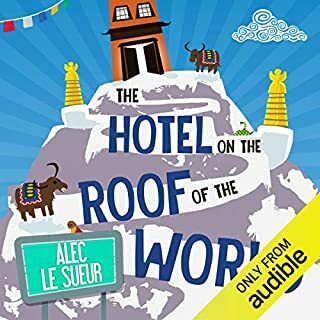 If you are planning on a trip to the land that measures Gross National Happiness, this is well worth a read/listen. I've done a lot of group tours, including several multi-day hikes, and I found the group accounts somewhat amateur and annoying. Although the author had to do the trek in a group, and they were an integral part of the trek, in places the book felt like it was written for the group members as a momento of the trek, rather than for a broader audience. 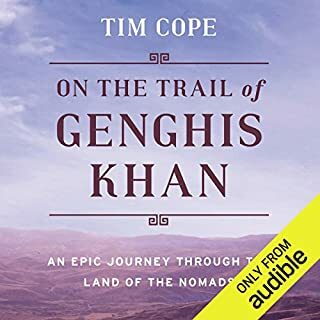 The author's voice is a little grating when listening to long sections, but his descriptions of the people he met and landscape are worth the perseverance. And whatever happened to Ingrid? 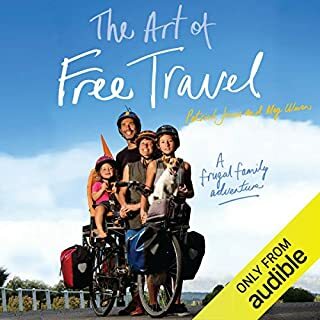 Even if you don't subscribe to the permaculture lifestyle of this family, this book will inspire you to make small changes to live more sustainably and be more in tune with the world. A great way to see part of this wonderful country. At the age of 34, Polly Evans decides to fulfil a childhood dream – to learn how to ride a horse. So she goes to Argentina and saddles up among the gauchos! 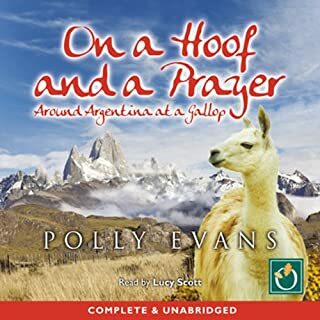 Overcoming battered limbs, Polly canters through Andean vineyards and gallops beneath snow-capped Patagonian peaks. This is the stampeding story of Polly’s journey from timorous equestrian novice to wildly whooping cowgirl. It’s a tale of ponies, painkillers and peregrinations – not just around present-day Argentina, but also into the country’s glorious and turbulent past. What disappointed you about On a Hoof and a Prayer? I had the hard copy of this book sitting on my shelf for the past five years and was really looking forward to reading/listening to it. Having travelled to South America, I was expecting to relive some of my memories. 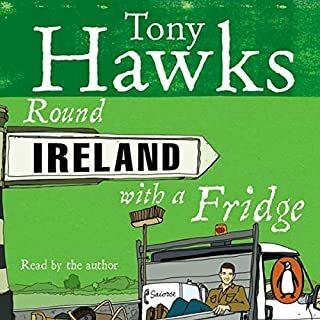 Instead, the book was a very average travelogue that didn't really do more than account for a British woman's summer holiday abroad. What could Polly Evan have done to make this a more enjoyable book for you? Evan's occasional attempt at humour rarely hit the mark and she took way too long before she chronicled the history of Argentina. There was nothing really remarkable in what she did, to the point where I struggled to complete the book. It wasn't engaging, it felt like I was made to sit through a slide night for someone I didn't know and didn't really care about. What character would you cut from On a Hoof and a Prayer? The author. It appears Evan cut the horses already - despite the title, there's a lot of travel not done on the back of a horse. 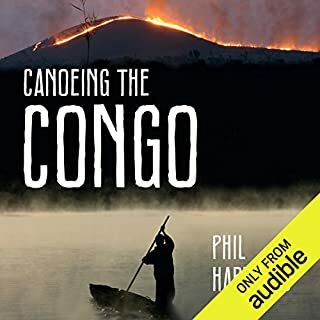 What made the experience of listening to Canoeing The Congo the most enjoyable? I enjoyed the interactions between Phil and the local communities he passed through. The journey was remarkable and Phil's account of it was fascinating. I read Blood River a few years ago, and was disappointed to hear it dissed so much, but apart from that and the fact that it finished very abruptly, it was a very good read/listen. Guided by a Kazakh aphorism - "To understand the wolf, you must put the skin of a wolf on and look through its eyes" - adventurer Tim Cope undertook a journey not successfully completed since the days of Genghis Khan: He traveled by horseback across the entire length of the Eurasian steppe, from the ancient capital of Mongolia to the Danube River in Hungary. What did you like most about On the Trail of Genghis Khan? A huge book for a huge journey. I thoroughly enjoyed Tim's adventure, but the book was a very lengthy tome and could have done with a little less in parts. That said, it felt like the last leg of his journey was rushed, as if to meet an editorial deadline. If you're into travel in far flung places, it's well worth the commitment. Have you listened to any of Philip Rose’s other performances? How does this one compare? Tim in an Aussie and I would have preferred to listen to an Aussie narration. Well written and told story of a runners dream. 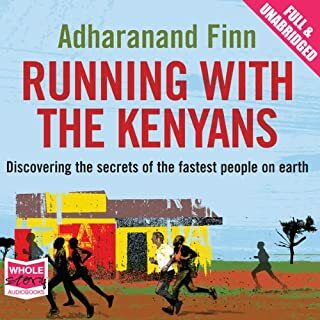 Would you listen to Running with the Kenyans again? Why? I'm not a runner but I enjoy travel books. You don't need to be a runner to enjoy this book, but I'm sure it would be an advantage. The book was somewhat repetitive; could have done with a bit more editing. I enjoyed the races but would have liked a bit more about living in Kenya.